With the right dental care, your teeth are designed to last for a lifetime. Unfortunately, even with the best preventive services, they can become damaged or injured over the years. 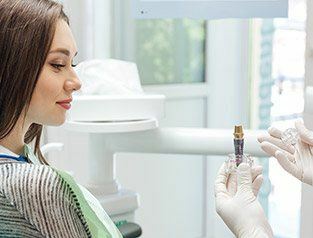 When a tooth has become severely compromised, it may require a dental crown to rehabilitate its health; however, sometimes that may not be enough to save it from needing to be extracted. If tooth loss has occurred, you need an effective solution to replace it. At Advanced Dental Treatment Center, we offer the treatments you need to restore your oral health. In addition to porcelain crowns, we can help you regain a complete smile with dental implants in Greenfield. A dental implant is the most predictable and reliable solution to replace a missing tooth. As the only option that replaces both the root and crown, it closely looks and functions like a natural tooth. A biocompatible titanium implant post is surgically placed into the jawbone. An abutment is then attached to connect a custom-made dental crown to the implant post. After an initial consultation to ensure that you are a candidate for the procedure, a comprehensive treatment plan is created. During the first phase of treatment, a minor oral surgery is used to open the gum tissue to expose the jawbone. The implant post will be inserted into the bone and a protective cap will be placed over it. Over the course of the next three to six months, your jawbone will fuse to it. After you have healed, you will return to our office to have the replacement tooth attached to the post. Dental implants can be used to treat all cases of tooth loss—no matter if you are missing one tooth or all your teeth. A single implant post is placed into the jawbone to support the dental crown. It will blend in seamlessly with your remaining teeth for a flawless smile. To replace two missing teeth in a row, two dental crowns are fused together and a single implant post is used to fill the empty space. However, if the space is too large, it may require two posts to fully support the prosthetic teeth. 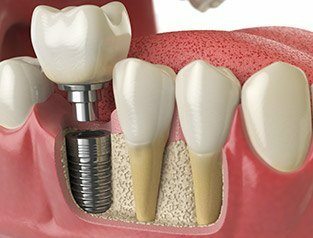 As an alternative to traditional partial dentures or a dental bridge, several missing teeth can be replaced with dental implants in West Allis. A gum-colored base is created to hold the prosthetic teeth. Then, dental implant posts are used to anchor the device in place. When complete tooth loss has occurred on an arch, they can be replaced with the use of dental implants. A gum-colored base is made to feature the replacement teeth. Instead of using suction or an adhesive to hold the arch in place, an average of four dental implant posts are used for maximum stability. When compared to other options for replacing missing teeth like dentures, dental implants offer the most benefits. They have the potential to last for a lifetime with the right aftercare, like maintaining your oral hygiene. In fact, they have a 10-year success rate of over 95%! Additionally, they are the only option that closely look and function like natural teeth. With the use of an implant post, they are also the only tooth replacement option that stops bone loss by stimulating new growth in the jawbone. Generally, if you suffer from tooth loss and have good oral health, you are a candidate for the treatment. 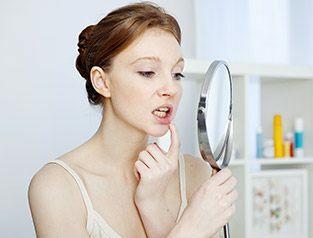 However, to ensure its long-term success, your dentist will need to evaluate your medical and lifestyle history to eliminate potential factors that may hinder your body’s ability to heal or fight infections. In addition, you must be committed to practicing good oral hygiene at home while also maintaining your regular dental appointments. If you are ready to restore your oral health and confidence, it is time to see if dental implants are right for you. 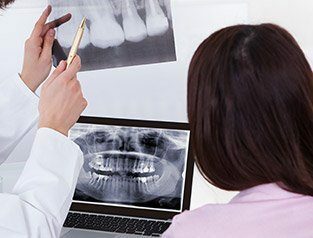 Our team at Advanced Dental Treatment Center will perform a comprehensive examination to create a tailored treatment plan to restore your dental health. Determining the cost of dental implant treatment is more complex than many people realize – no two cases (and patients) are the same! This transformative procedure has several components to it, each of which have a unique price attached. At Advanced Dental Treatment Center, our dentists will be happy to assess your smile’s condition during an initial consultation and provide confident cost estimates for your procedure based on our findings. 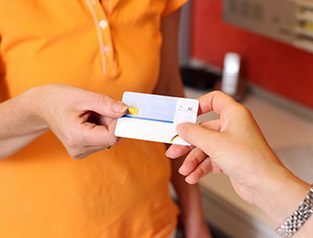 We can also help make your treatment budget-friendly by utilizing insurance benefits, setting up low-interest payment plans, and more.